CenturyLink Business Class Pure Broadband 1.5 - CenturyLink Business Class High-Speed Internet (HSI) with no phone required! Get connection speeds up to 1.5 Mbps! 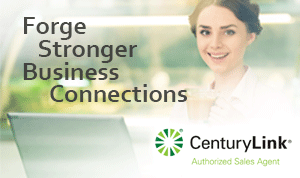 CenturyLink Business Pure Broadband 1.5 - CenturyLink High-Speed Internet (HSI) offers connection speeds up to 1.5 Mbps, giving you the power to take control of your business Internet. Download and upload faster, stream training or presentations online, and video conference with the CenturyLink Business 1.5 Mbps Pure Broadband stand alone internet plan. How fast is CenturyLink's Business Class Pure Broadband 1.5 Mbps Plan?